Abner "Abby" Sundell was born Abner Julius Sundelewich on August 18, 1913 in New York City. His father, Isidore Sundelewich, was born in 1875 in Russia of Jewish ancestry and came to America in 1893. His mother, Molly Sundelewich, was born in 1885 in Russia of Jewish ancestry, and came to America in 1895. His parents settled in New York City, where they married in 1904. They had four children, Sidney (b.1906), Beatrice (b. 1907), Gilda (b.1909), and Abner (b.1913). They family lived at 359 Grand Street on the Lower East Side of Manhattan. The father owned and operated the Globe Shoe Store and shoe factory at 25 Canal Street near Essex Street. The Sundelewich children all attended NYC Public schools. In 1918 the family left the squalor of the immigrant ghetto on the Lower East Side and moved to a more prosperous neighborhood in Brooklyn, where they lived at 2480 83rd Street. 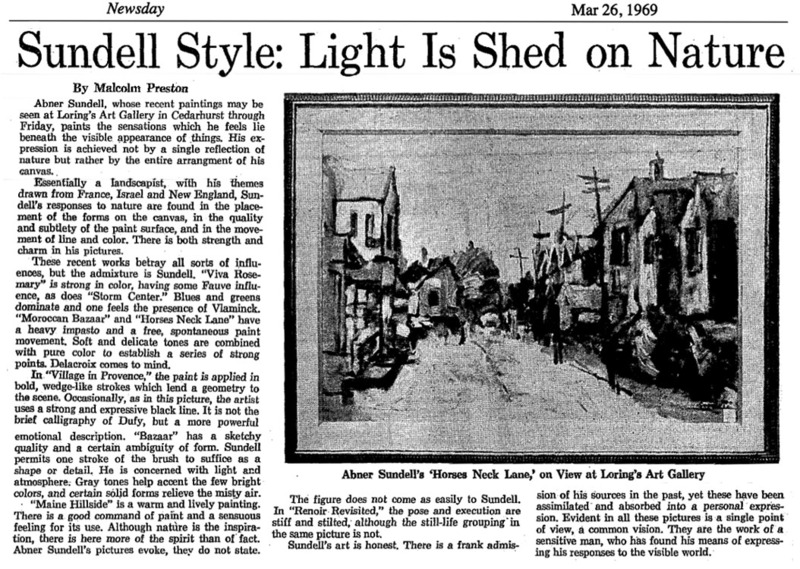 On March 30, 1920 the father legally changed the family name from Sundelewich to Sundell. In September of 1927 Abner Sundell began to attend New Utrecht High School at 1601 80th Street in Brooklyn. He was a popular star of the football team. He contributed to the school newspaper, The Comet, and became interested in a career as a journalist. On June 25, 1931 he graduated from New Utrecht High School in a spectacular ceremony at the Brooklyn Academy of Music. He joined 860 students to form the largest senior class in the history of NYC public high schools. In September 1931 he began to attend New York University School of Commerce, where he studied Journalism and Advertising. He also played on the school Lacrosse team. A student from Toledo, Ohio, Victor Boni Bloom (1908-1983), also attended NYU School of Commerce at the same time. 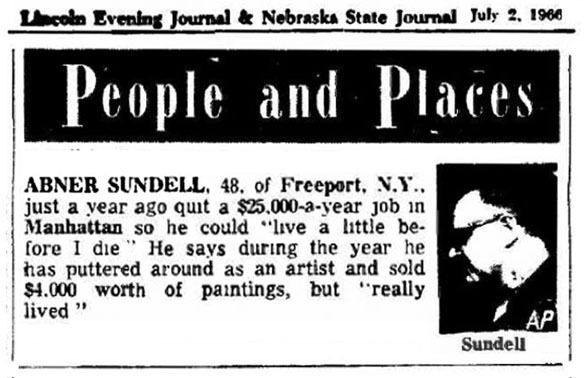 By June of 1933 Abner Sundell completed his Sophomore year at NYU, but as the Great Depression brought financial hardships to his family, he was forced to leave college and enter the work force. At first he worked as a grease monkey at a gas station on the corner of Gerritsen and Avenue U in Brooklyn. By September 1933 he worked as a Sole Layer at his father's shoe factory on the Lower East Side. After breathing leather glue for a few months he was promoted to Receiving Clerk, where he learned useful business skills. 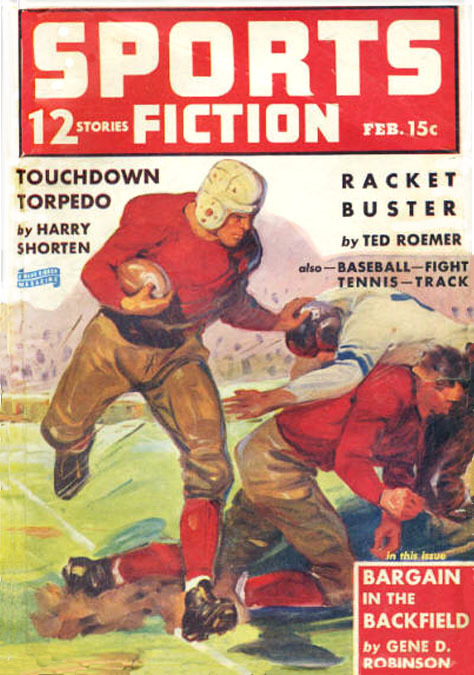 By 1934 his former classmate from NYU, Victor Boni Bloom, had sold several short stories to pulp magazines Argosy and Detective Fiction Weekly. 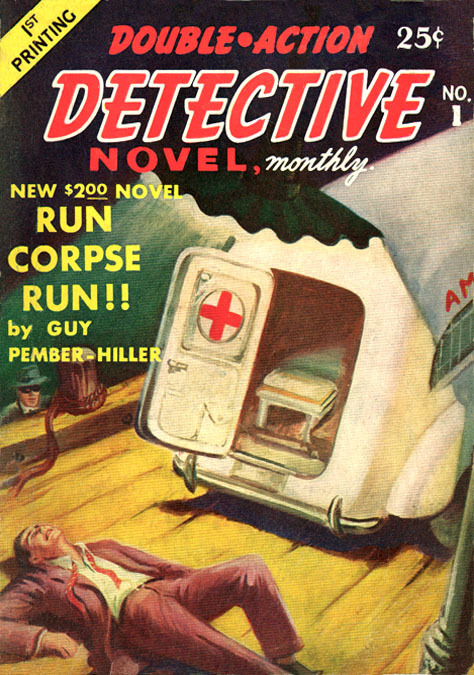 Abner Sundell later claimed he was first inspired to become a writer "after a number of friends, who were writing for pulp magazines, managed to squeeze a living out of their labors, so the natural thing to do, then, was to start scribbling for the pulps." He decided to write western stories. To embellish his work with convincing atmosphere and authentic details he visited a dude ranch in Bandera, Texas, where his room and board was five dollars a week. 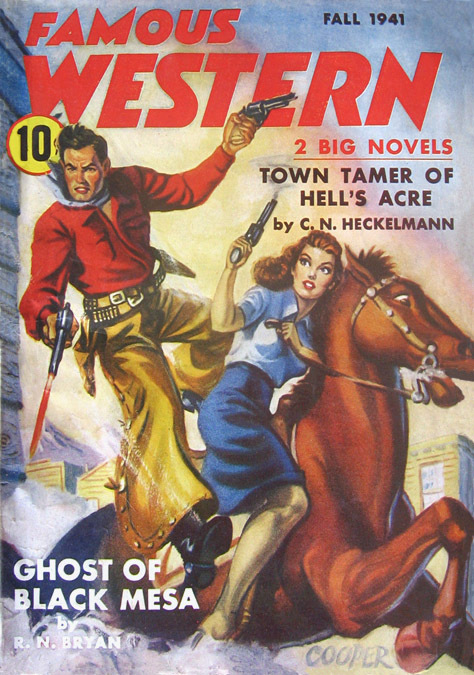 Abner Sundell invented the cowboy pen-name Cliff Campbell for western short stories, which he sold to Double Action Western and Real Western. 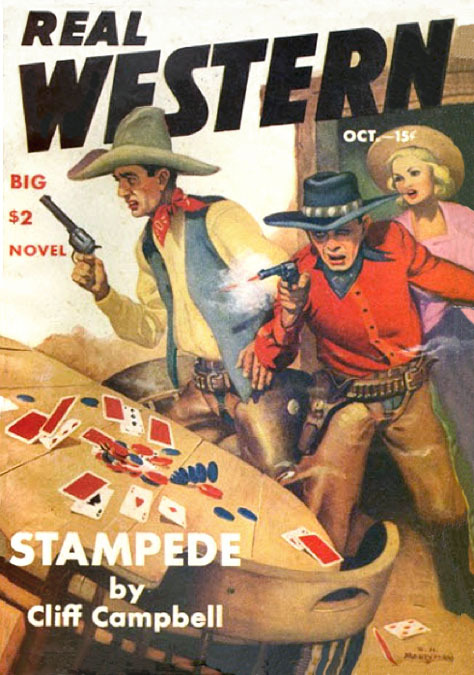 Within a year stories by Cliff Campbell were regularly featured in western pulps from Winford Publications, which was owned by Louis Silberkleit. 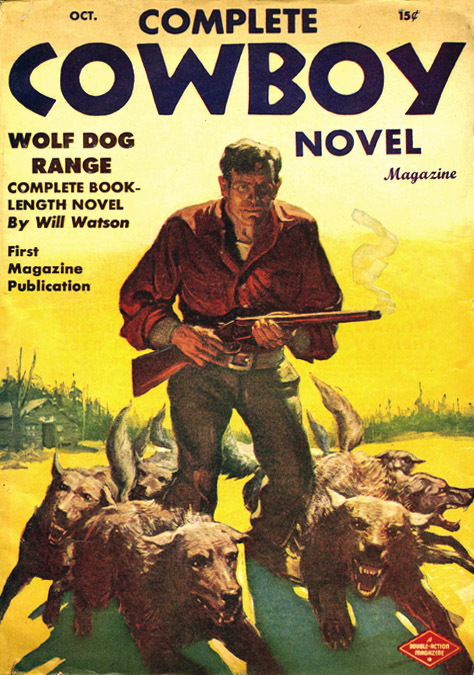 In November of 1935 Abner Sundell was hired to edit Winford's entire Double Action Group, which at that time included Double Action Western, Real Western, Mystery Novels and Underworld Detective. In addition to editing these titles he also handled the many routine production chores of publishing. The Ownership Statement on page 121 of the February 1936 issue of Double-Action Western listed the Editor as Cliff Campbell. After that first appearance, the same credit was repeatedly listed in subsequent indicia for only as long as Abner Sundell remained Editor. In 1937 Abner Sundell married his wife Thelma G. Sundell. She was born December 18, 1918 in NYC. The newlyweds moved to an apartment in Brooklyn at 977 East 10th Street. In 1938 Abner Sundell also ran an independent business that brokered magazine illustrations to publishers affiliated with Louis Silberkleit. The NYC Business Directory listed " Abner J. Sundell Artist Service" at 60 Hudson Street, which was the same address of Winford Publications. He handled work by A. Leslie Ross, J. W. Scott, Milton Luros, Richard Case, Sam Cooper, Howard Sherman, Roy Harrison, George Gross and his brother Arthur Gross. 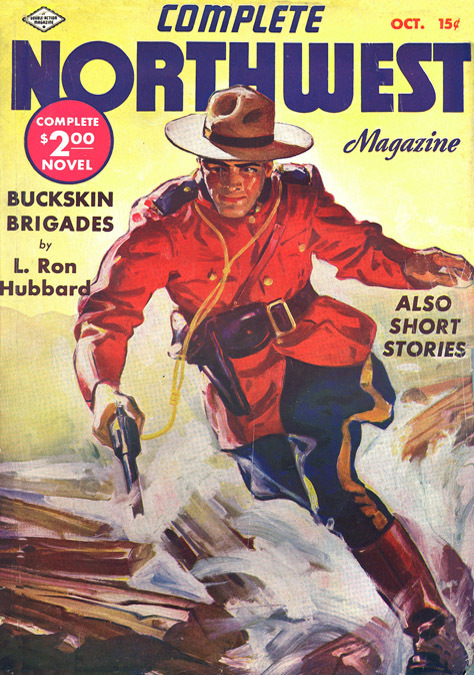 The June 1938 issue of Writer's Digest reported "Abner Sundell, who also uses the name Cliff Campbell, is editor of the Blue Ribbon Group, of which Louis Silberkleit is publisher." In 1938 Abner Sundell edited Louis Silberkleit's line of comic books, Pep Comics, Blue Ribbon Comics, Top Notch Comics, Jackpot Comics, and Zip Comics. He hired Harry Shorten, a 1937 graduate of NYU, as Editorial Assistant. 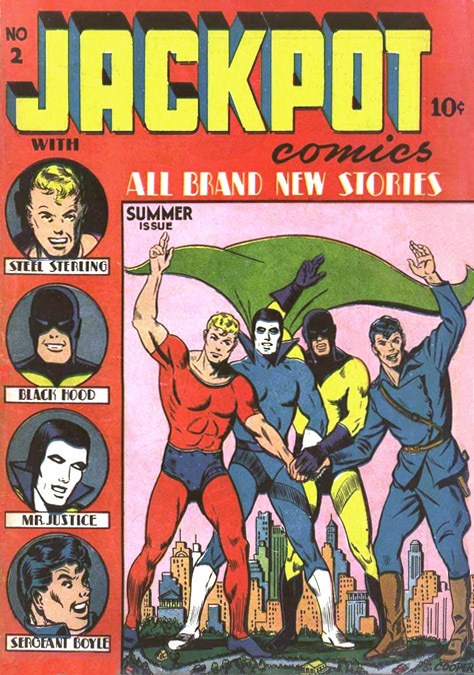 He also hired Charles Biro, who wrote and drew some of the most distinctive features that appeared in these comics. 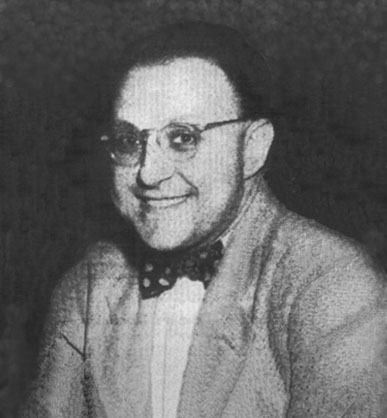 Towards the end of Abner Sundell's tenure as Managing Editor he hired Victor Boni Bloom to write the three earliest appearances of Archie Andrews for Pep Comics, the first of which was signed "By Bob Montana and Vic Bloom." In 1941 Abner Sundell left Silberkleit's publishing empire and was replaced by Robert W. Lowndes. For the previous six years Louis Silberkleit had promoted the reputation of Cliff Campbell into an invested property that remained with the publisher as a house name after the departure of Abner Sundell. In 1941 he joined Victor Fox as Editor of Swank Magazine at 247 Park Avenue. 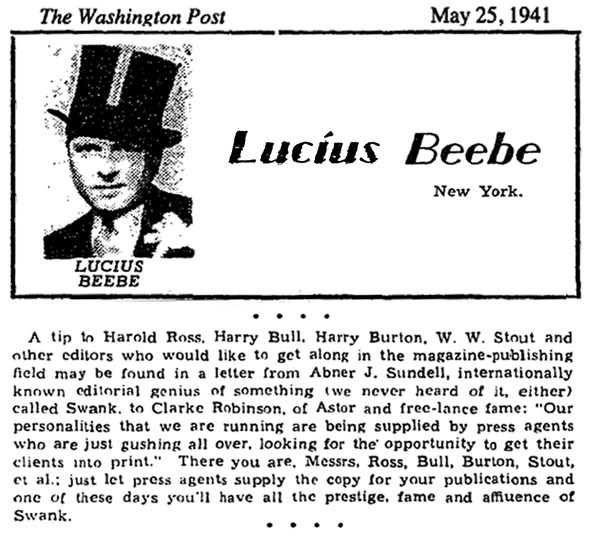 On May 25, 1941 Lucius Beebe, a popular gossip columnist at The Washington Post, wrote "A tip to Harold Ross, Harry Bull, Harry Burton, W. W. Stout and other editors who would like to get along in the magazine publishing field may be found in a letter from Abner J. Sundell, internationally known editorial genius of something (we never heard of it either) called Swank: 'Our personalities that we are running are being supplied by press agents who are just gushing all over, looking for the opportunity to get their clients into print.' There you are, Messrs. Ross, Bull, Burton, Stout, et al. : just let press agents supply the copy for your publications and one of these days you'll have all the prestige, fame and affluence of Swank." At that time Victor Fox also produced several risque joke books, such as Grin, Dash, and Wit. 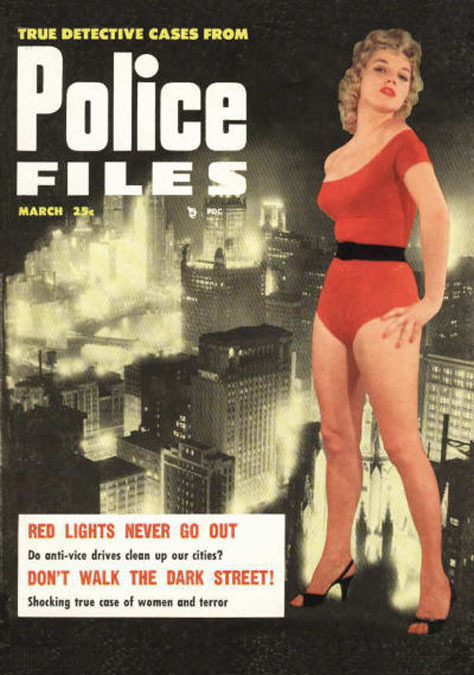 These digest-sized magazines featured pin-ups, gags and cartoons. Fox Feature Syndicate also produced seventeen comic books, which Abner Sundell edited, including Blue Beetle Comics, U.S. Jones, V-Comics, Mystery Men, Weird Comics and Wonderworld Comics. This last title featured Wonderman, whose resemblance to Superman resulted in a successful lawsuit for copyright infringement. The 1942 edition of The Writer's Year Book included an instructive article by Abner J. Sundell entitled "How To Crash The Comics." In 1942 Abner Sundell left Victor Fox and began to work for Adrian Lopez at Volitant Publications, where he edited the men's magazine Sir! and risque joke books Laugh and Hit! In 1943 he left Adrian Lopez and began to work as Managing Editor for Lev Gleason at Your Guide Publications. However, after only three weeks he was drafted by the Army during WWII. 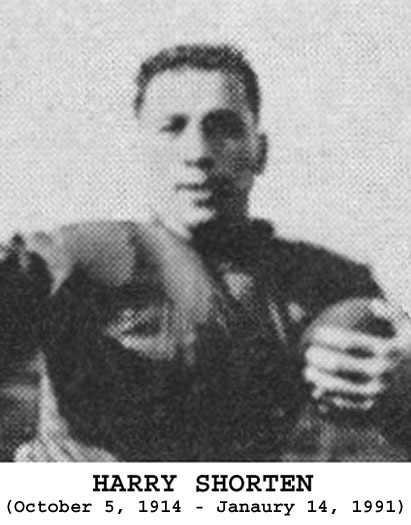 On November 2, 1943 Abner Sundell entered military service. He was sent overseas and fought in the Battle of the Bulge, a German counter-offensive on the Western Front that was halted by Americans in the dense forest of the Ardennes, where both forces endured several months of Hellish stalemate and appalling losses. Abner Sundell was lucky to survive the ordeal with only frost bite and trench foot. While recuperating in an Army hospital he enjoyed the restorative power of painting, which grew to become another important outlet of his creative spirit. He was honorably discharged at the rank of Corporal in November of 1945. He visited the art museums of Paris, France, and then returned to NYC, where he studied painting on the G.I. Bill at the The Brooklyn Museum Art School at 200 Eastern Parkway. His art teacher was Isaac Soyer (1902-1989), the younger brother of celebrated twin artists Rafael Soyer (1899-1987) and Moses Soyer (1899-1974). 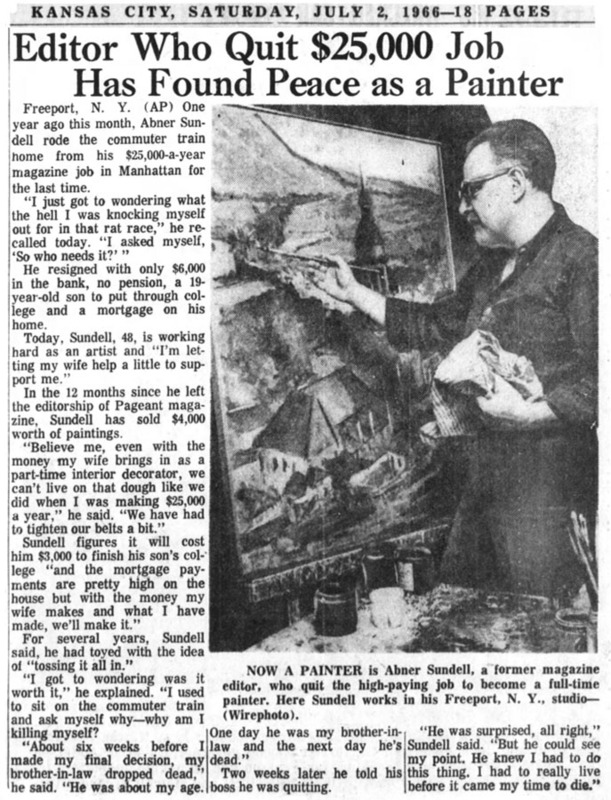 Abner Sundell continued to paint in his free time for the rest of his professional career. In 1946 he resumed his literary career as Executive Editor at Lev Gleason's Your Guide Publications. The unusual name of this company was derived from their popular line of astrology magazines, which included Your Guide To The Zodiac, Astro-Digest, and The Astrology Year Book. These were edited by a mystic seer named Dal Lee. However, unlike the holy Dalai Lama of Tibet, this Dal Lee lived in Queens as Adalbert Clarence Nebel (1895-1973). 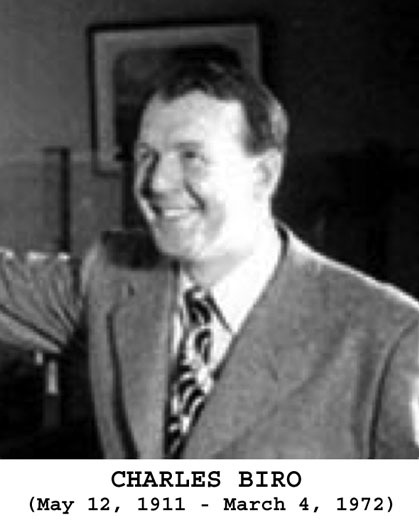 In 1946 Abner and Thelma Sundell had a son, Eric Sundell. Four years later their son John Sundell was born. The family lived at 505 North Brookside Avenue in Freeport, NY. Thelma Sundell was a talented decorator and served as the Freeport representative of the National Society of Interior Decorators. 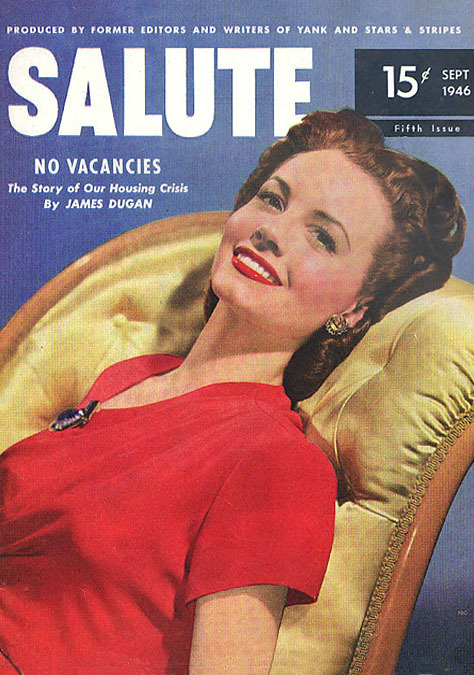 In 1946 Lev Gleason hired former writers of Yank and Stars & Stripes to produce Salute Magazine for ex-servicemen. He also published Movie Fan, Movie Teen, True Crime, Women in Crime, True Fact Detective Stories, and Smash Detective Cases. Abner Sundell edited all of these magazines as well as True Crime Comics. Lev Gleason also produced paperback book reprints under the name Phantom Books and Falcon Books. Abner Sundell was listed as Editor of Detective Yearbook from Falcon Books. The August 1948 issue of Writer's Journal, a professional trade magazine for aspiring authors, included a biographical profile on Abner Sundell. By 1958 he was editor of True Story, True Love, and Pageant Magazine, which were produced by the Macfadden-Bartell Corporation at 205 East 42nd Street. Irving S. Manheimer was Chairman of the Corporate Board of Macfadden Publications, and was also the owner of Publishers Distributing Corporation (PDC). In 1964 Pageant Magazine published a controversial opinion poll that ranked Washington Congressmen by effectiveness. Politicians exploited this poll to attack opponents with low rankings, while defenders launched a Special Congressional Committee Investigation to debunk the poll. The publishers were subpoenaed to testify, after which Gerald Bartell said, "Unfortunately, freedom of the press usually exists only where it does not run counter to the interests of advertisers, or pressure groups, or upper management." On July 4, 1965 Abner Sundell resigned. 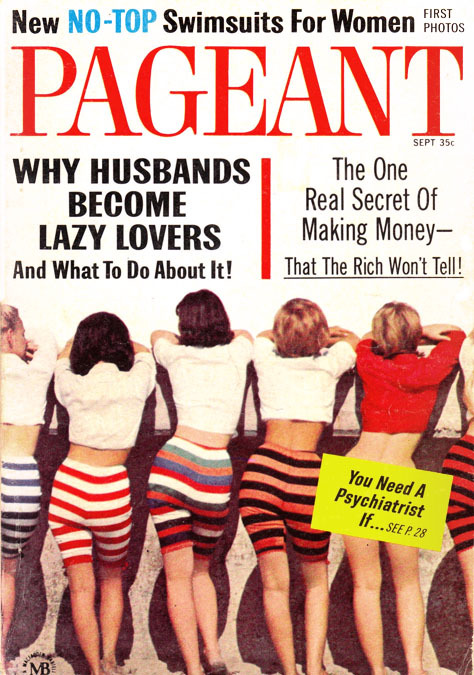 The media frenzy that resulted from the Pageant Magazine poll and congressional hearings were reported in nationwide newspapers. After his resignation, Abner Sundell was finally free to concentrate on painting. According to the artist, "For years I'd been considering the idea of quitting so I could spend all my time painting. It was a gradual decision after years of getting up every morning at 7 to get to the office at 9, seeing my blood pressure go way up, working until 8 or 9 or later every night, watching my relationship with my family deteriorate, all kinds of pressures. You lose your freedom of choice, freedom to do and be what you want. It's a rat trap. You have to cut it off, live with yourself, measure up to your own values. Eventually I decided that instead of looking back and thinking 'it might have been,' I'd try it. I'm 48 and if I didn't try to make it as an artist now, when would I do it? I feel like I'm going to make it. It's a heady feeling. Of course I still get up at 7 and discipline myself to paint from 9 until 6 every day, but my blood pressure is normal now, I don't get migraine headaches and frankly I'm almost in a state of elation. All I really gave up was my income. I also gave up the whole idea of having to have a greener lawn, a bigger car and better clothes than the neighbors. Right now my children are getting settled. My son Eric is 23 and in the Peace Corps in Tunisia. My other son John is 19 and studying English at the University of Michigan. So our expenses are somewhat less. Sure I worry about money. I didn't have a pension or anything of that sort. I just had $6,000 in savings and it costs $3,000 to keep my son in college, $300 a month for the mortgage payment, there's upkeep on the house and so forth. My wife's salary as an interior decorator adds some, but it doesn't quite cover everything. Of course things are tight, but we're economizing on whatever we can, and I'm depending on selling my paintings to get us through. Is it all worth it? Well, it's worth it just to have tried it. Maybe I won't make enough money to see us through, maybe I'll have to sell my house and go back into the publishing business if I can - I'm not a boy anymore - but I would say it's worth it. You know, it's the old question, what have you ever done in your life? What good are you? At some point you have to answer it. And this way I can answer that maybe I've added a little beauty, a little joy. And very selfishly, I can say I did something for myself." Over his remaining years his paintings were included in local art exhibitions. In 1967 he and Robert Myron, an Art Professor at Long Island's Hofstra University, wrote and edited a middle-school textbook, The Two Faces of Asia: India and China, for World Press. In 1969 he and Robert Myron produced Art in America: from Colonial Days to the 19th Century, for Macmillan Press. 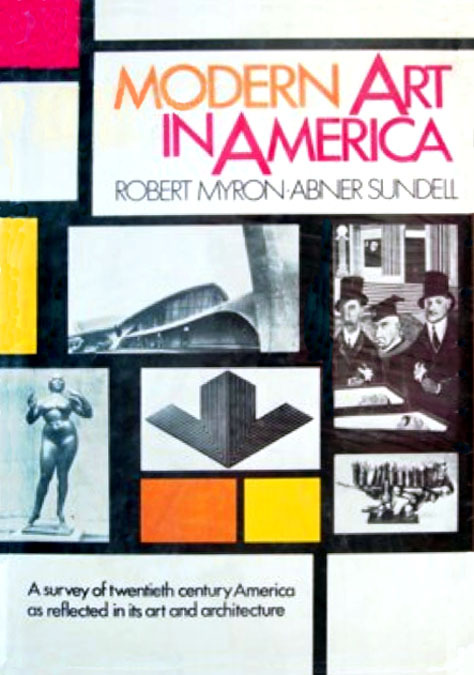 In 1971 he and Robert Myron produced their last book, Modern Art in America, for Crowell-Collier Press. On October 12, 1997 his wife Thelma G. Sundell died at the age of seventy-eight in New York. Abner Sundell died in New York at the age of eighty-seven on March 11, 2001.